Strip-out is the removal of all interiors from a building so as to allow the owners refurbish and renovate the building to suit their needs. At the end all that remains is effectively the shell of the building – walls and roof. Waterford Demolition Ltd specialize in stripping out live buildings safely, carefully and quietly. We have extensive experience of stripping out factories, shops & offices. We can advise, plan and employ methods of internal demolition, commercial and residential building and removal services that will provide a strip out to produce the blank canvas required by our clients. We assure clients on our access to the latest machinery to ensure a safe and efficient project. 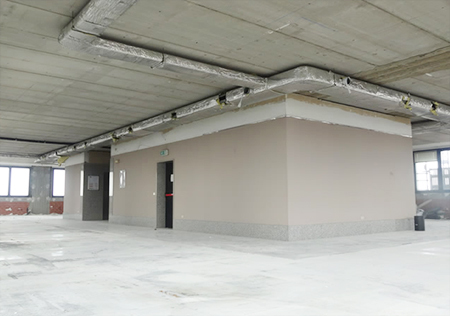 We are able to completely or partially remove the interior of the building as directed, from structural elements including floors, ceilings, staircases and block walls to fixtures and fittings.